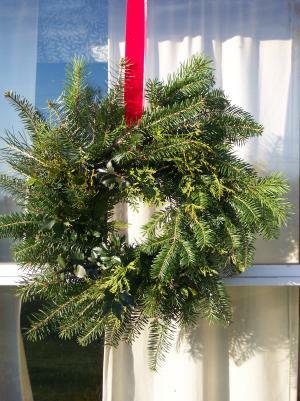 Mixed Evergreens wreath. They look great hanging from every window on the front of your house! Comes with red or burgundy velvet hanger. Choose hanger color and wreath size. Jingle Bell Door Swag - 26"